Kush-N-Cheese Auto is a feminised autoflowering Indica-dominant cannabis seed that results from the cross between an Og Kush and a Cheese Autoflowering. It is a high-quality cannabis strain aimed at those who give priority to the taste and aromatic properties. 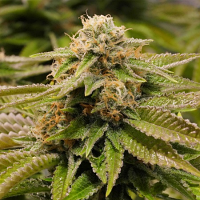 Kush-N-Cheese Auto Feminised Marijuana Seeds by Dinafem Seeds: Kush-N-Cheese Auto is a feminised autoflowering Indica-dominant cannabis seed that results from the cross between an Og Kush and a Cheese Autoflowering. 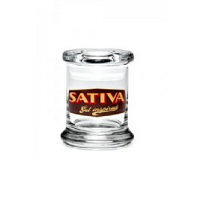 It is a high-quality cannabis strain aimed at those who give priority to the taste and aromatic properties. Kush-N-Cheese Auto is the auto version of the cannabis seed Kush-N-Cheese. Really complex at the time of tasting, its noble heritage is noticeable at once. It is a beautiful, fast-flowering, easy-to-grow, vigorous, medium-sized marijuana plant that yields heavy compact buds covered in resin. Offering good results in an easy way both indoors and outdoors, this cannabis seed is suitable for growers of all levels. Developing heavy branches, it might require staking at the end of the flowering period. It is advisable to add 30% of coco to the soil and to water frequently but in small amounts. Kush-N-Cheese Auto has a deep flavour and aroma, with notes of pine, citrus fruits and cheese. The long-lasting effect is powerful and soothing. It is the perfect choice for unwinding after a hard day.